New Zealand Babywearing Week Giveaway with My Natural Baby – WIN a Storchenwiege Ring Sling! We’re on the countdown to New Zealand Babywearing Week (5-13 October 2013) and we are looking forward to celebrating with you. We’ve been loving the giveaways over the last couple of weeks thanks to some generous product sponsors. The next giveaway will be drawn once we reach 2000 page members over on the New Zealand Babywearing Week facebook page. Our 2000 liker giveaway sponsor is My Natural Baby Ltd. One lucky ‘New Zealand Babywearing Week Facebook page’ member will be randomly drawn to take home a Storchenwiege Woven Ring Sling valued at $140.00 in the Inka Colourway (pictured above) . (Open to NZ residents only). The Storchenwiege® RingSling can be washed on gentle machine setting at up to 60°C. You may like to use a washing bag to protect your washing machine and the aluminium rings. To be in with a chance to win, like the New Zealand Babywearing Week Facebook page and leave a comment under the image of the Storchenwiege Ring Sling in the Inka colourway that’s pinned near the top of the New Zealand Babywearing Week page to let us know why you’d like to win it. Like the My Natural Baby Facebook page and leave a comment to say hi and how you found the page. Like the Storchenwiege New Zealand Facebook page and leave a comment to say hi and how you found the page. Leave a comment under this post to let us know why you would like to win the Storchenwiege Inka Ring Sling. Good luck to all who enter! A winner will be drawn when we reach 2000 likers on the New Zealand Babywearing Week Facebook page so feel free to share the page around to help us get there. New Zealand Babywearing Week – the countdown is on . . .
Never tried a ring sling – would love to win this! Would totally love to win this for my wee man due tomorrow! Just hoping he arrives in time for the baby wearing festivities! I would love to win this!! I haven’t owned a rs and this one looks amazing! Have always loved ring slings and these colours are just gorgeous! Would love to win this ring sling as due with baby number 2 so a ring sling would be perfect to keeping baby close to me and me mobile enough to keep up with my energetic toddler! Love to win one of these, would make going through the airport a lot easier later this year with miss4 mr1 and myself. Id love love love to win this, have always wanted to try a ring sling, they sound very practical and these ones look amazing too. Loving these babywearing week giveaways! Would love to win a beautiful ring sling like this, so convenient and would be super supportive with the woven wrap fabric! My 8 month old loves being worn and I love having her close. This sling is so pretty! I’d love to win it, it would be so awesome for getting my little miss around, and giving me a spare hand after grabbing little Mr! Kia ora:) I would love love love to try this sling, I have a 21month old and a 9month old so since my youngest was born ive relied on babywearing to manage my very close together in age babes. Now it would be awesome to try a back carry in this beautiful wrap, finger & toes crossed!!! I would like to enter the draw for the Storchenwiege Inka Ring Sling please It would be a lovely way to experience baby wearing in the new year when my baby is born 🙂 ! Wow what a generous gift!!! This woven us just devine!! Im a new mumma to baby wearing and would love to be the proud new owner of this sling!! It would be put to good use wth my 11wk old and i would love to show it off!! What an amazing prize to win!! Would love to be lucky enough to win this and use with my baby. 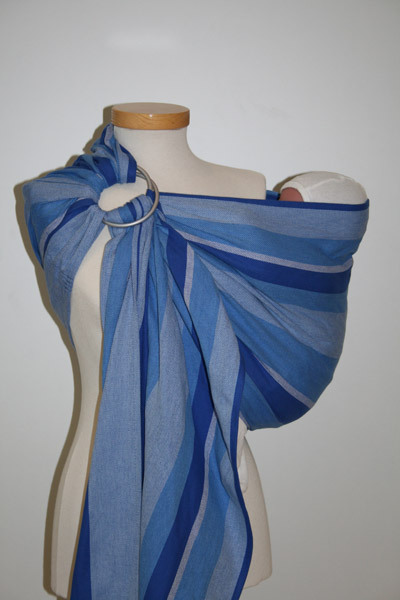 I would love this ring sling as they make your baby so portable! Would love for this to be my first ring sling! 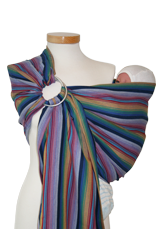 I would so love to win this ring sling to use with my 6 month old. We have a thick fabric one which works quite well for us, but would love the added comfort for us both that we would get from a woven one! I would LOVE a ring sling as just given birth to my 4th boy…. 3rd in 3.5 years! and I need my hands free for my other kids, and cooking and housework, walks etc….. much rather carrying him than the bulky pram! Would love this sling – I’ve not used one and planning for no. 2 so that would be AMAZING! My 9mo is getting heavy but she doesn’t like the wrap anymore because she can’t see enough and a sling would be a perfect solution so she’s supported but can still take it all in. I wear my baby quite a bit but have never tried a ring sling and would love too. I would LOVE to win a Storchy, they are sooo pretty and it would be great to carry my toddler in when his legs get sore. We are planning number two now so this would be perfect!